I must start here with a warning to anyone wishing to visit the site of Whitacre station: at the time of my visit, the Station Road bridge over the railway was being replaced/significantly altered and the road closed from both directions just at the point I wanted to get to hence a vast and poorly sign posted diversion was in operation on which I got lost in the countryside for some time so beware! The station opened in 1842 but moved a few hundred yards to the site of the junction in 1864. 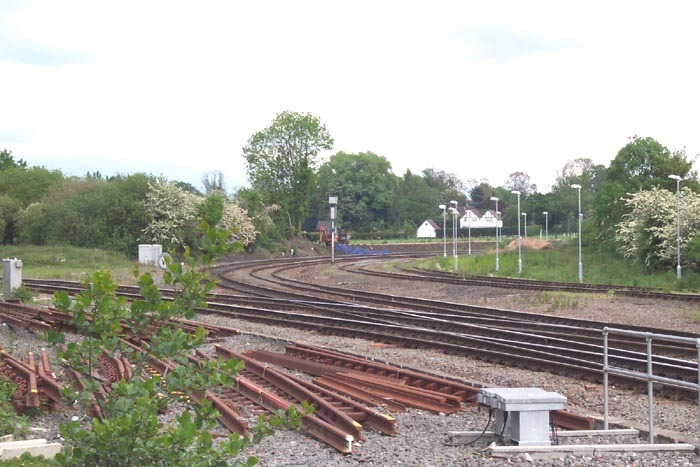 Opened by the Birmingham and Derby Junction Railway from 1864 it sat at the junction of the then-Midland Railway lines from Birmingham to Derby, Birmingham to Nuneaton and the now-defunct line through Coleshill to Hampton-in-Arden. 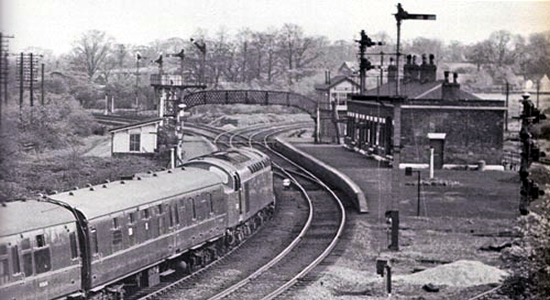 Above we see the station in 1964 (photo: Michael Mensing) with the line to Derby curving off to the left and the line to Nuneaton to the right. 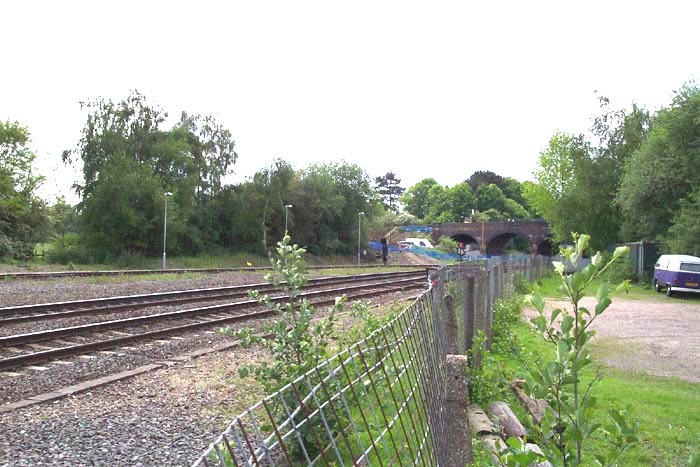 However, the station closed in 1968 - and considering its overtly rural location I am surprised it lasted that long - some 29 years after losing its link with the Hampton-in-Arden branch which had been goods-only for a significant period of time prior to that date. 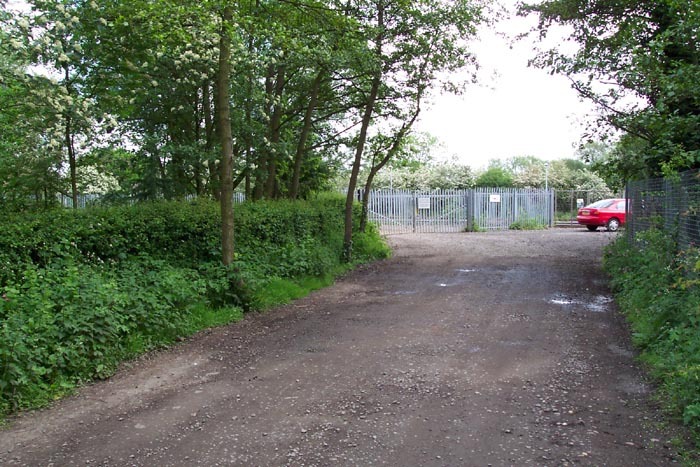 Above-left we are looking along the driveway to the station site off Station Road which now leads to a dead-end between a Network Rail facility to the left and a Scout's car park to the right. 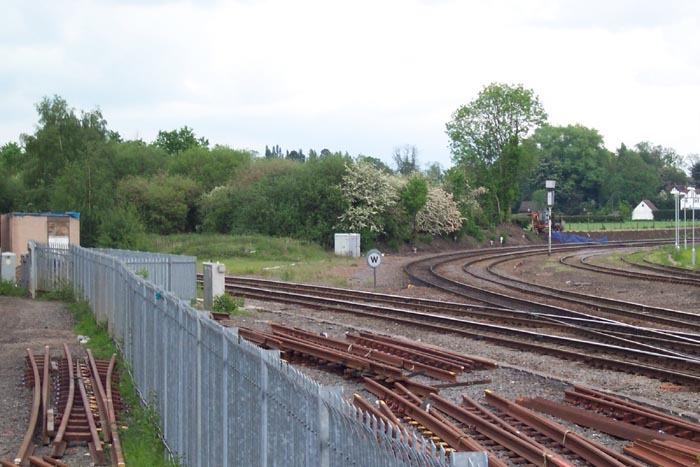 Above-right we are looking towards Water Orton and the Station Road overbridge. Above-left we are looking directly across the tracks from the point where the entrance driveway emerges to view the Whitacre ground-frame (or "acre frame" as its broken signage proclaims). 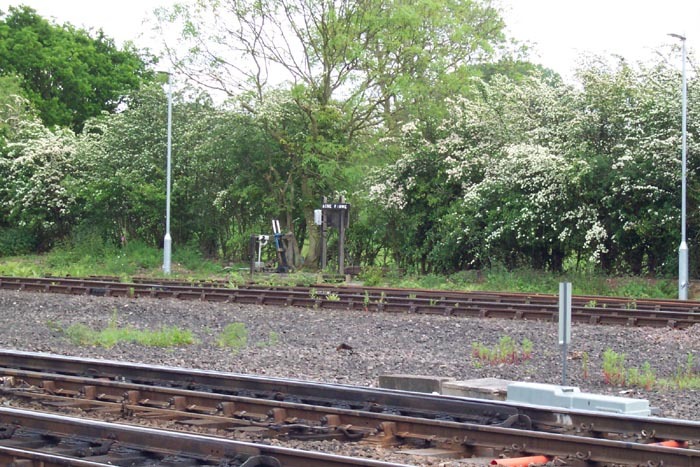 Above-right we are looking towards the junction and to the left - which is to the left of the train in the 1964 photograph - is a driveway to a Network Rail facility of some description. As can be seen, nothing of the station remains today. 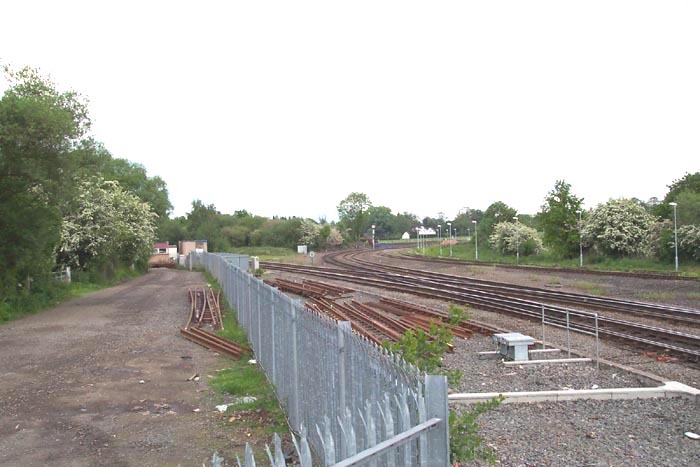 Incidentally, to take a clear shot of the junction from this spot I had to climb up the spiked fencing you can see along the trackside and perch precariously on the top - hopefully if you visit the Station Road bridge will be reopened and make the whole experience a lot easier. Above-left and right are closeups of the junction. I have to confess to being a little disappointed when I arrived at this site - not least after the 30+ minute round trip I had to endure to get to it - and found that the site had been very effectively cleared over the past 36 years.